Wynona Bailey is the fourth generation of her family in law enforcement. It is not what she planned to do, but when her twin brother, a highway patrol officer, was killed while helping stranded motorists, Wyn felt compelled to take his place. When her father was shot in the line of duty, leaving him physically and cognitively disabled until his death two years later, Wyn joined the Police Department of Haven Point. She is good at her job even if her heart is not fully invested in it. However, her heart is fully invested in her boss, Chief of Police Cade Emmett, her oldest brother’s best friend since boyhood and Wyn’s crush almost as long. Cade Emmett grew up the son of an alcoholic father who frequently fell on the shady side of the law. He credits his own escape from that life to John Bailey who made him an unofficial member of the Bailey family, mentored him, and eventually hired him as a police officer. Now that Cade has followed in the steps of his mentor as Haven Point’s Chief of Police, he feels a particular responsibility to John’s memory, to his family, and to the community John served for thirty years. Wyn Bailey is John’s daughter and one of Cade’s officers, two very good reasons why Cade can never act on his feelings for her. When Wyn, acting in direct violation of Cade’s order, enters a burning structure alone and saves the lives of two young brothers, Haven Point views her action as heroic. Cade views it as insubordination and suspends her for a week without pay. He is furious with Wyn for endangering her life. He may try to convince himself that his concern is for his best officer, but it’s not professional concern that leads to a kiss neither Cade nor Wyn can forget. The kiss gives Wyn hope, but when Cade holds to his resolve that a romantic relationship between them is impossible, she makes plans to leave the NHPD and return to graduate school to complete a degree in social work. It will take Wyn risking her life once more to shatter Cade’s defenses. 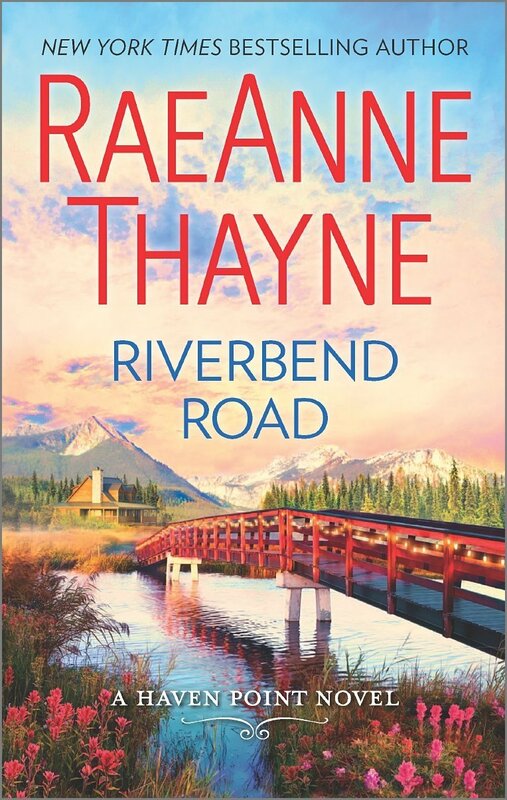 This is the fourth book in the Haven Point series, and it features the same caring community and suitably sweet romance that are hallmarks of Thayne’s books. Wyn and her family are a lively, loving group with enough flaws and family tensions to keep them real. They are also a reminder of the high costs good cops and their families pay for service to the community. Wyn is both likeable and interesting. Cade is the taciturn protector, a popular type in romance fiction, but Thayne gives him an inconvenient loyalty to his troubled brother and a heavy secret to make him more than a type. Assorted members of the Haven Point community add appeal to the story, and Wyn’s new neighbor Andrea Montgomery and her sweet kids play a significant role. I particularly appreciated that Thayne shows law enforcement as an all too human institution that is a mix of the good and the bad. 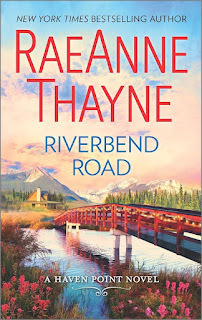 If you like your romance with a small-town setting, strong ties of family and friendship, and a central relationship that is a blend of tension and tenderness, I recommend Riverbend Road. Thayne is among the best in the genre with this kind of story. And if once you have read this book, you think Andie, the new neighbor deserves her own HEA, put Haven Point #5, Snowfall on Haven Point, on your calendar for September 27. Andie and a wounded sheriff, Marshall Bailey, get their HEA as a Christmas gift. I enjoy small town books. Thanye always delivers memorable characters and a good story. I agree, Pat! I've been a fan of her writing since discovering her via her Harlequin category books years back. I love this series. Her characters are not perfect, but that just makes them more human. I love watching them get their HEA. Looking forward to this book. I love this series! She writes such beautiful books.